Tis' the Season to be CHARITABLE!! Or I at least think so! Especially if we are blessed more than most this year! It's the holidays and gift giving is my absolute favorite. I love picking out presents, handing out gifts and especially giving to people who may not be quite as fortunate as my family is during the holidays. I was not offered any monetary compensation by posting about this cause. I will be receiving an Alexa Echo Show for posting about this toys for tots drive. I had to share with you guys, so you can participate and help spread the word too. On #GIVINGTUESDAY Amazon & Alexa launched "ALEXA, donate to Toys for Tots". 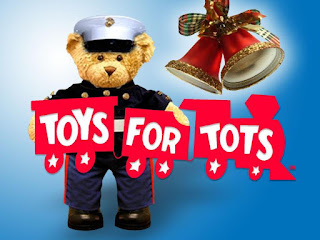 Toys for Tots, a 71-year national charitable program run by the U.S. Marine Corps Reserve, provides happiness and hope to disadvantaged children during each Christmas holiday season. The toys, books and other gifts collected and distributed by the Marines offer these children recognition, confidence and a positive memory for a lifetime. Last year the Marine Toys for Tots Program fulfilled the holiday hopes and dreams of 7 million children in over 800 communities nationwide. I love the ease of giving (and the comfort of knowing it's going to a reputable cause) and also the fact that they are matching the gifts (toy for toy), to basically double the donations. Can I choose which gift I want to donate to Toys for Tots? Alexa pre-selects an item from the Toys for Tots Charity List and tells you the price of the item before confirming your donation. However, if you want to choose among other items, see the Toys for Tots full Charity List at smile.amazon.com/toysfortots. Wait...you don't have an Alexa enabled product in your home? Amazon can get you set up with one super easy and quickly. 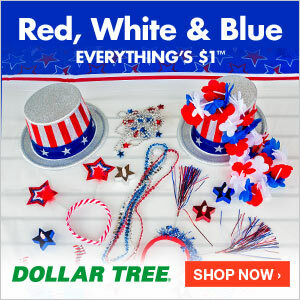 CLICK HERE to order one for your family. So do me a quick favor...now that you're done reading this post! Shout, "ALEXA, donate to Toys for Tots!" and help Amazon & Alexa with #deliveringsmiles in 2018. I was not paid to feature this post! I will be compensated by receiving an Alexa Echo Show because I am sharing with my readers about this cause.